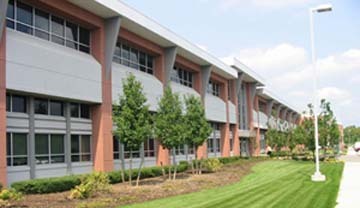 Located in the Melville Corporate Center, one of Long IslandÃ¢â‚¬â„¢s most prestigious business addresses. Our flagship facility comprises of a 150,000 square foot Class A state-of-the-art office complex where you will find modern architecture, interior design and landscaping, modern art, and a beautiful vaulted glass atrium. In addition, the building features a health club and a cafÃƒÂ©. Our center is in close proximity to the Long Island Expressway and Route 110.